We Have The Best Karaoke Rentals In The Business - Period! 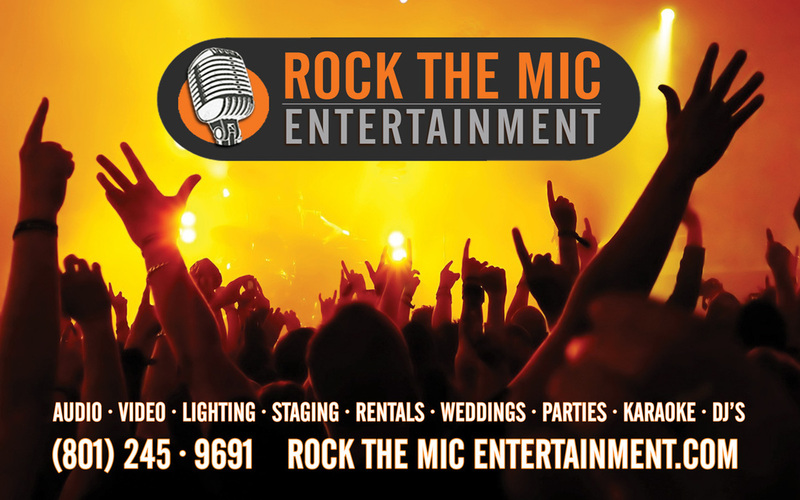 We pride ourselves in having the best, easy to use karaoke rental systems in the area. Seriously! They are incredibly powerful, quick and easy to setup, and we have different packages of karaoke equipment available to rent for any occasion! These are guaranteed to keep your Family / Friends / Coworkers rocking all night long. Seriously, if you can manage running a simple iPad, you can easily manage one of our systems. It's even easy enough for a child to operate! This package gives you all of our karaoke songs at the tip of your fingers. It is perfect for an event in your front room, backyard, or where you already have a sound system. It hooks up wirelessly in your front room and lets you stream karaoke from your couch to your TV! Setup is quick and easy, and your family will love it! This setup includes a sound system, wireless microphones, and a song selection that will keep your guests rocking out all night long. If you are doing a larger event for 15 - 30 people, whether it's for family, friends, or work, this is the perfect system for you. Additional equipment available for large setups as well. We also offer tons more dance lighting, which most companies do not even have. This package is for pickup only. We do offer delivery, setup, and teardown for an additional charge. The individual renting is required to accept all liability of damaged equipment. Valid credit card is required for all rental agreements. Please call if you have additional questions about an equipment rental. If you are wanting to have karaoke at your next big event, but don't want to hassle with figuring out and setting up a machine, we have an easy way to make your event incredible! It is easy, priced right, and we can promise that your attendants will love your event. We have done thousands of events for all types of occasions, and would love to help make yours another huge success as well! Think About It: We come set everything up, and you can have the peace of mind that it will all work correctly. We bring all the right cables, have a 30,000+ song selection of music, wireless microphones, dance lighting to make you feel like a rockstar, and we can even hook into most TV's and projectors so everyone can see all the lyrics and sing along with the singers. We also can provide Music Videos during the intermission between songs! When all the festivities are over, we clean everything up, no late fees... no taking things back to the people you rented from. It is all done and over… and It Was Awesome!